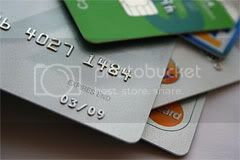 Even if you pay your bills on time, how you use your credit cards can influence the cost of your next loan. Credit scores (of which FICO scores are a subset) have always been important because banks and financial institutions use them to determine individuals’ credit worthiness. However, with lending institutions raising their standards in light of this past credit crisis, your score is more important than ever. Overall, this tightening of the purse strings is a good development for the industry, but it also means some individuals may be unfairly punished for otherwise responsible behavior. While borrowers who are late or miss payments take a justifiable hit to their credit scores, those who always pay on time may still have their scores dinged. Believe it or not, our spring market is off to a healthy start this year. We have now written about the same amount of dollar volume as we did at this time last year, possibly a bit more. I attribute the fact that we are on course to our constant attention to pricing. All the beautiful brochures and online photos in the world won’t sell a home in this market if the asking price is too high. So, we have shifted how we communicate with our seller clients, and spot-on pricing is a frequent topic of discussion. While we are rarely getting the prices we would prefer, our clients who sell are relieved to be out from under their home and able to get on with their lives. Blog Brawl Round #1 – Vote Now! 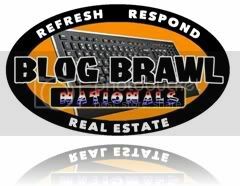 Thanks to your generous showing of support, Live and Play in Chicago qualified among just 32 blogs in the United States to participate in the nationwide real estate blog brawl. Our first competitor is www.carolinevablog.com, coincidentally, another blog written by a Coldwell Banker agent named Jennifer – a Jennifer Rathbun of Fredericksburg, Virginia. To win this match up, we need only to solicit the most votes from as many Internet connections (IP addresses) as possible. Even the hotspot at your local Starbucks counts as an extra vote, but I’m not asking that much of you. If you have a spare moment, please visit the contest voting page and cast your vote in all of the blog matchups listed (including, of course, the one for my blog). If you have time, you can skim each blog to get a feel for which ones deserves your vote. Otherwise, just cast a random vote in the pairings you don’t wish to evaluate. The deadline is this Friday, March 20th at 7:59 a.m. CST. So it’s Chicago vs. Fredericksburg in Round 1. Vote early and vote often, Chicago. This time, you really can. If you read this blog from the Live and Play in Chicago website (rather than by email subscription or RSS reader), you may have noticed a new item called “Twitter Updates” in the sidebar. Yes, ladies and gentlemen, I am now a part of the latest social networking trend, Twitter. 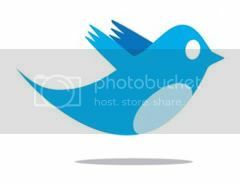 For the uninitiated, Twitter is something called “micro blogging“. Whereas traditional blogging involves full, page-length posts about an event from earlier in the day or week, micro blogging is typically a single sentence, written on the fly as things happen. Take a look at my Twitter updates (known as “tweets”) in the sidebar to see what I mean. Since everyone from Barack Obama to my home brokerage, Coldwell Banker, was already onboard, I decided to join in as well. Now, you can follow along with my tweets on my Twitter page here or simply by checking back to the blog from time to time. This way, you can see what life is like in the day of a hardworking real estate agent and mother like myself. And, you don’t even have to ride around in my car next to a stack of listing brochures, yard signs and photographic equipment! Whether you just stumbled onto my blog today or have been a regular reader for some time, if you like what you see here, please nominate www.liveandplayinchicago.com for entry in the Nationwide Real Estate Blog Brawl hosted by the Virginia Association of Realtors. You can do so at the bottom of this page: http://varbuzz.com/2009usblogbrawl. There are prizes involved in this head-to-head Realtor blog battle, but I’d just like the chance to pit my posts against other web savvy agents from around the country. If you’d like to see that happen, please vote before the March 16, 8:00 a.m. deadline. 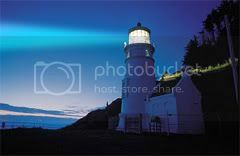 Thanks for all your visits, comments, subscriptions, Twitter follows, and all the rest. As long as you keep reading, I’ll keep writing, whether in competitive format or otherwise.